The tiny house you see on this site was built to the following specs. - capacity for conveniences such as window AC unit, dorm fridge, counter top stove, etc. I’d like to know if there are any investors out there interested in the same idea, as well as those folks interested in pulling their tiny houses to the area and setting up. Cara, it seems like there’s growing interest in this. The author of Tiny House Blog suggested organizing local meetups to network people together. I commented that I was willing to host one until I finish and sell the tiny house. His post is here: http://tinyhouseblog.com/announcement/tiny-house-meets/. If nothing else, I’ll host an open house once I finish the tiny house. I was thinking at looking through the meetup groups to see which ones might be appropriate to invite. Hey! I am TOTALLY interested in being part of a community of tiny houses. If this develops and we can bring it into fruition, I’m down! Cara – My company has 10 to 60 acre tracts available near Austin if you’re interested in finding land. We own tracts in Manor, Elgin, Lexington, Giddings, and Bastrop. My number is 512-656-8870 if you’d like more information on those. We’ve been looking in to / encouraging this form of construction on our properties. I often wonder if converting a mobile home park could work. Less zoning problems, potentially. That link is for three parks for sale near Austin, but there are others around the country. I am totally interested in the village. I am moving to Austin in mid-July so I would love to hear from you all about this. I am looking to build a container house along the lines of a future shack though. Not necessarily a tiny house, the outside dimensions would be 40 long by 8 wide. Small enough though. Being a senior citizen, I would be interested in buying a tiny home with a small lot. I would like to see a tiny home senior community which would be a great service to the senior community. Currently I live in a senior apt. community and I love the quiet and my apt. but…the rent keeps going up and up in spite of the fact most seniors live on a fixed income. owning a small place where the payments stay the same would be a plus for seniors like me. It is impossible to find a small house anymore…like one or two bedroom and mobile homes are the pits plus the high cost of renting a lot to put it on. I would like to see a tiny home village happen…in the near future. I bought your complete course and I was amazed at how thorough it was. Can’t imagine anyone not wanting to buy a copy! Few questions though: Instead of using OSB and attaching tarpaper then siding to the outside, couldn’t I just use the black board you find in rigid 4×8 sheets and attach these to the studs and then attach 4×8 sheets of wood siding to the outside? Also wondering how you came up with the subfloor layout? It is like a shallow box frame but I don’t know why you chose that configuration? Is there a reason why it has to be boxed a certain way? Finally, if I could make one recommendation: you can buy 4×8 sheets of foam board that is blue. This insulation was first used in the making of caskets because the blue board insulates but does not retain moisture. I ran a company that made spas and we used it in many applications. This would likely be better than the insulation you chose. Can you tell me the city you live in, as I am in Dallas and made more than one trip to the trailer mfg. you bought yours from! Thanks again for a great course! I’m not familiar with the black board you referred to. But yes, I would imagine you could use a number of different things for sheathing. The intent is to give lateral support to the framing and give a backing for the next layer to be attached. Of course you’d want to think about your vapor barrier too depending on your local climate. I did the subfloor layout to try and minimize the number of sheets used as well as maximize the stability. The first layer wasn’t sturdy enough so I added a second. If I would have used 3/4″ the first time that probably would have been enough. Obviously there are better ways to do it. I think you just want the length to run across as many joists as possible just like vertical sheathing or roofing. I saw the blue foam. It was something like R-2 which is really low. But it would definitely be better for thickness considerations. I built the house in Austin. I’m currently living in Arlington but we plan to move to Richardson in the next few months. We would love to be added to your resource list. We are in Austin, a local company, and a pre-fab tiny house builder. check us out! we have models set up at 6701 Burnet Rd. Jeremy, I used to drive by that model and always wondered about it. I didn’t realize it was prefab. Very cool. I’ve added a link to your site on the Resources page. Thanks Louis! We are actually a hybrid of prefab and on site build. We bring in full wall panels and erect them on site. Then place roof panels on. Then most of the finish out is done on site. The smaller structures are finished out in about a week. Checking in to gauge the continued interest in a tiny house community. We own an RV park between Austin/Bastrop and are considering this idea for expansion. Jami, I don’t really know. I haven’t heard much. You could check in with the yahoo group though I haven’t seen anything there either. Hey Louis, my name is Deek, one of the Tumbleweed Workshop Instructors….we’re doing a workshop in Austin in March and it’d be great to meet you- would you at all be interested in talking about what you do, and so forth, at the workshop at all? Let me know….kidcedar at gmail.com. ‘Hope you’re well! I’ve been looking at purchasing a tiny home but I would rather build something 500 sq ft on a permanent foundation but having trouble locating land. I too have thought about buying land and letting people buy or rent plots for their own tiny or small home. I would even be willing to purchase a small plot from an Eastside farmer. I would love to be a part of getting something like going in Austin. I am looking for the exact same thing – a lot of land to put my tiny house. Anyone have any ideas or news about the development of a community in austin? My name is Shay Reynolds with “Buy A Small House” located in Austin, Texas. We have just launched our business model after years of research and 32+ years of combined experience building larger houses. Our team will give our customers the ability to design a small house to be built in less than six weeks. We construct all houses built with the highest quality materials inside a 22,000 foot facility. Every small dream house that we build is made at 399 square feet with full sized features including: a full sized bathroom, full sized room that fits a queen bed, a kitchen and deck options that still keeps with the R-20 code. Buy a tiny house today and take charge of your finances. Some of our homes are tax free when living outside the city. My girlfriend and i are planning on moving to Austin sometime this year. Is there any land or communities for tiny houses there? Any information would be great! Buy a small house from a local company in Austin. We sell 399 sq feet houses that are new, made to order. We have 9 Acres in the hill country, Dripping Springs, we are thinking of opening up to 4 tiny homes. We have been looking into what might be attractive to other and what we want on our property and we are willing to offer a community garden and prep kitchen, wifi, water and electrical hook ups and coin laundry. Im looking at comparable rent for RV parks and being that we are limiting the spaces and would like to create more of a community and not a trailer park, Im seeking feedback on this idea as well as interested parties. We are thinking of having it up and ready by mid summer 2015. We would totally be interested in such a place to park our tiny with other tiny home people. We like animals too but don’t want to be where people let their dogs bother you and pee on your stuff. – We got an electric fence for the garden – just something to think about when living in community. I am currently building a tiny house and I’m looking for a place to live in it once it is complete. I am very interested in a tiny house community as Shay, TN, and others mentioned, and I would be willing to hear more on how I could get involved. Call me at 832-797-5627 if you are working towards building a tiny house community. TN — would you please post your contact information? I would love to get in touch. Thank you! I am a senior and have the problems Carolyn D. has. What is needed is something that fully functioning people who are retired yet very productive can feel safe and able to live with financial stability. Please add me to your list. I am living downtown San Antonio and am renting. I would love to own, but not sure if able. I want to be among the activities like I do downtown now. Curious as to zoning regs related to number of units per property. Hv some land in east austin that i’m hoping to develop one way or another. 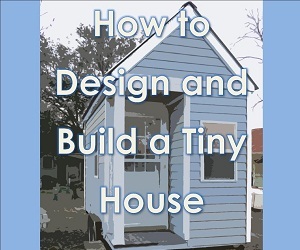 Looking to understand zoning restrictions in Austin and find land where I can build a tiny house. Where to find this elusive thing? How do you know what the deed restrictions are? what the zoning rules are? This is catching on in Austin because real estate is so expensive here and people don’t want to be in debt for 30 years. I am building a tiny house this year, and I plan to have it done and moved in by July ’16. I am hoping to find a place I’ll be able to set it up soon, partly because this seems to be one of the more significant challenges in adopting this lifestyle, but mostly because I need to plan my finances. I am quiet, courteous, and I mostly keep to myself. I work nights at a laboratory in town, and spend most of my leisure time reading. I don’t know that I would want to purchase land; I’m embarking on a new research project and I don’t know where it will lead me, but I’m likely to continue to live in Austin another 3-5 years. If you or anyone you know is interested in renting out a plot of land, please contact me at laesaleigh@gmail.com. Thanks much! I’m looking to sort of intern under a tiny house builder… if you or anyone you know is looking for hel and would enjoy teaching, let me know! Thanks!! I have built 12 tiny home sites in Texas hill country west of Austin. I also sell park model homes, but you don’t have to buy from me to lease a home site. Looking for tenants who are 55+. Please see my website at http://www.oliveranch.org. I will appreciate all feedback – positive and negative. Thanks. I am interested in buying land for a small house like reclaimed spaces builds. If anyone is interested/ has a small piece of land to sell, wants to go in on some land ect. There has to be a way to do this. I am interested in a small piece of land to purchase or lease (very small to fit a tiny house of 400 sq feet or less) and want to go off grid. (solar panels, etc.) Anyone interested in a “tiny home village” Area close to Austin/Dripping Springs so there is ease of access into the city. I need someone to build the tiny home as well. I am living in Round Rock. Looking for 2-3 acres to develop a widow village in the Taylor area. Local friends/widows downsizing to 400-600 square permanent homes on ~ 10,000 square feet of divided land. A caveat on the property will be a widow’s small ~ 1,000 square foot house for her, and an added 3-resident wing. She already has 2 houses, one she lives in and the other she manages for the 3-residents where she has provided 24/7 care for the past 6 years. Idea is we all live independently, but look out for each other. Continue our gardening, chicken raising, and goat interests. We remain in each of our ADA compliant home, adding assistance via the staff at the 3-resident wing for laundry, cleaning, errands, other activities of daily living as needed. Once we are no longer safe to live in our independent home, we would stay on the property, but move into one of the 3-resident suites as they become available. Plan to begin my home build first, the spring of 2017. Also interested in a tiny house village – on land. (horse friendly). Can this be done? Austin area? Soon? Can we do this?